Students are expected to dress for acro dance. They may wear a t-shirt with shorts or soft pants, or a leotard with footless tights or dancer shorts. Bare feet are essential and long hair must be pulled back. Please bring a water bottle to keep in the classroom. Join us as we start from the very beginning to explore the art of acro dance. Acro dance is the beautiful fusion of the artistry of dance and the athleticism of acrobatics. 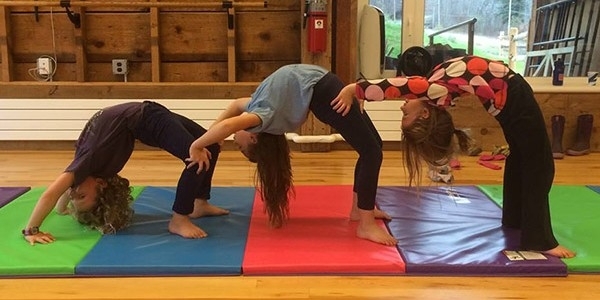 Our engaging acrobatics arts curriculum is based on safe and effective progressions with proven results in five divisions in acro dance: flexibility, strength, balancing, limbering, and tumbling. No prerequisite skills required. There will be no class January 21, February 18, March 4, or April 15.